Water Law in Real Estate Transactions Part One: Understanding Water Rights By Land Title Guarantee Company - Cheryl&Co. This is a two-part technical bulletin on water law in real estate transactions. Many residents and businesses in Colorado pay public utilities, such as Denver Water, to receive their water supply. In rural and even not so rural parts of Colorado, however, many residents and businesses receive their water via a well or other type of water right that they own. Water rights in Colorado are regarded as real property, similar to real estate, and ownership is very flexible. A water right can be bought, sold, moved and switched from one use to another, such as from farming to domestic. One of the most basic attributes of a water right is that it can be conveyed with or reserved (i.e., severed) from the property on which the water has been used historically. As a result, realtors in many parts of Colorado often encounter transactions where a seller is conveying a water right that they own with their real estate. 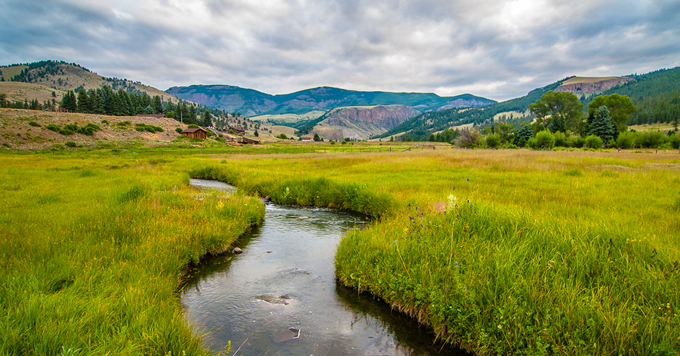 In this two-part technical bulletin, we will provide real estate and title professionals with a basic understanding of the legal concept of water rights in Colorado, and address issues that can arise with their conveyance. Part one of this bulletin will discuss the basic regulatory framework for a water right in Colorado. Part two of this bulletin will discuss conveyancing issues that arise with water rights in the context of real property transactions. Understanding each of these concepts will help real estate and title professionals facilitate smoother transactions where water rights are involved. Two different legal doctrines govern how we use water in the United States. The choice between these doctrines rests primarily on the climate and needs of the people where the water is going to be used. In wetter humid areas, such as the East Coast and parts of the Midwest, there is less concern for reduction in the overall flow of a river. The Riparian Doctrine governs in those parts. Under the riparian law, owners of land bordering rivers and streams have a water right to use that river or stream. In Colorado, however, just because one owns land next to a stream does not by itself mean they have a right to use water from that stream. Water law in Colorado evolved during the mid-1800’s when the area was a territory. Pioneers of Colorado’s arid climate needed water to mine gold and silver and to irrigate crops miles away from the rivers and streams. Colorado’s growth depended on people’s ability to reliably divert the waters of the streams from their natural channels and carry them across the arid landscape to their places of use. An allocation system based on the principle of “first in time, first in right” evolved out of this need into a framework of water law known as the Prior Appropriation or Priority Doctrine, sometimes called the Colorado Doctrine. The Prior Appropriation Doctrine serves as a basis for a substantial portion of Colorado water law today. It regulates the use of surface water in the rivers and streams, and alluvial or tributary groundwater, which is groundwater that is hydrologically connected to a river basin. The Priority Doctrine states that the first person to divert water and apply it to a beneficial use has a prior or senior right to the water over any other user who seeks to use water at a later time. The Priority Doctrine in Colorado provides a legal framework by which water users obtain a court decree to protect their senior water rights against all other junior water rights. This process, called Adjudication, secures the amount and priority date of a water right (i.e. date water was first used) against other water users’ junior rights and provides for administration of the court’s decree by state water officials. Two other water allocation systems also exist in Colorado. Deep groundwater confined in aquifers such that it has not measurable connection to the surface stream is not regulated by the Prior Appropriation. Depending on location, these confined aquifers are referred to either as Designated Groundwater or Nontributary Groundwater. Pumping water from these aquifers is managed not by court decree, but through permitting and administration by various state officials. There are seven water divisions within Colorado, based on the major watersheds of the state. There is a separate Water Court for each division. While a decree from a water court confirms a water right, it does not create one – water rights are established by diverting and applying water to a beneficial use. In Colorado, water courts have jurisdiction over all water right decree applications in surface water and tributary groundwater rights, among other things. Water courts set the priority date for water rights decrees based on the year in which the application is filed and within the year in which the application is filed and within that year, when the water use first began. Additionally, by law, every well owner in Colorado that diverts ground water must have a well permit issued from the Colorado Division of Water Resources, also known as the Office of the State Engineer. There are many different types of well permits, depending on the area of the state one is pumping in and quantity and type of use for that well. Certain wells, such as household use, and domestic and livestock wells on parcels less than 35 acres, are exempt from and are not regulated under the priority system, even if they are pumping tributary groundwater. Other wells, such as commercial irrigation, and municipal and subdivision wells, are non-exempt and are regulated within the priority system. Water pumped from Designated Ground Water Basins, located in the Front Range and in Eastern Colorado, requires a special permit from the Colorado Ground Water Commission. These types of permits are not regulated by the priority system. Lastly, it is important to note that many water rights in Colorado are held by Mutual Ditch Companies. Mutual Ditch Companies are private non-profit associations organized to develop, maintain, and deliver irrigation water to shareholders via elaborate networks of pipes, ditches, reservoirs, flumes, etc. Mutual Ditch Companies are similar to other privately held corporations in that they have articles of incorporation, by-laws, and are governed by a board of directors. Ownership in a Mutual Ditch Company is evidenced by individual stock certificates, which entitle a shareholder to her prorated share of the Mutual Ditch Companies’ water right for use on that shareholder’s land. Colorado regards water rights as real property and protects them against all other water users along a stream with a junior priority date. Additionally, there are different types of water rights in Colorado, and the regulations that apply for each will vary depending the type and location of the particular water right. For example, a well pumping groundwater in the Denver metro area is regulated differently than a ditch irrigating property in Boulder County. If you are involved in a real estate transaction with a water right, knowing the type of water right at issue is the first step to understanding what will be required for its conveyance. Part two of this bulletin will discuss conveyancing issues that arise with water rights and how to mitigate them.